The ATLAS Orthogonist (or thog' ah nist) is a doctor in the field of Chiropractic, with training in the structure, function and bio-mechanics of the upper cervical spine. The Atlas Orthogonist is a fully accredited, licensed Doctor of Chiropractic. He or she has undergone a minimum of two to four years of undergraduate studies, followed by four or more years of intense training in such subjects as: Anatomy, Physiology, Radiology and many others. 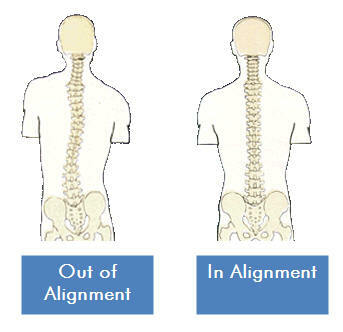 To further differentiate themselves from other Chiropractors, the Atlas Orthogonist concentrates his Post Graduate studies on the cervical spine, including the methodology of detailed x-ray analysis of the upper cervical region and translation of this pictorial data into measurable angles of adjustment. Specifically, an AOC practitioner does an x-ray evaluation of the orientation of the upper cervicals and then uses reproducible vector mechanics to determine the angle of orientation of the stylus on the AOC table (specially formulated table for this technique). This special table has a magnetically activated impact on one end of the stylus that transfers to the end in contact with the skin surface. The force generated on the skin is as little as 3 pounds. The movement of the atlas bone has been verified on cineradiographic studies. The correction occurs within the normal range of motion of the vertebra, and thus differs from manipulation which, by definition, takes the joint slightly beyond the end range of motion.